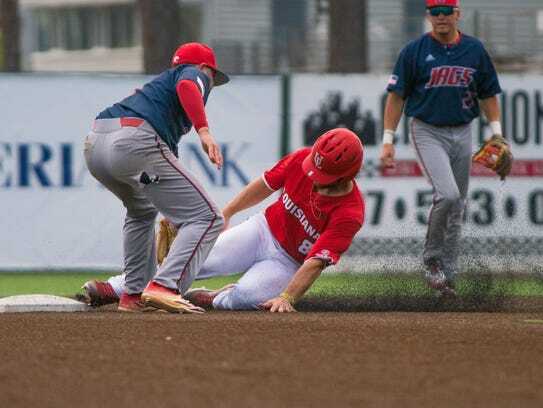 It’s hard for me to be too upset after the Cajuns 7-3 loss on Saturday to South Alabama, even as an alumnus. The result of the games have just always been ancillary to the experience I felt when sitting in the old M.L.“Tigue” Moore Field. For me it’s always been the smell of the roasting peanuts, the singing of “Put Me In Coach” and of course that one guy who always yells “TUUUURN TWO” any time an opponent touches first base. I’ve been near the program for almost 15 years now, working for the UL Sports Information Department and later as a writer for The Daily Advertiser. But I hadn’t been to a baseball game in almost five years. I was excited to see what this new ballpark had to offer. As I walked up to the Russo Park on Friday night, all my nostalgia for the Tigue seemed to be overwhelmed with awe at the mere size of the thing. Once inside, I walked around like a tourist in a big city. I spun around in wonder, trying to take in every nook and cranny of the new digs. I snapped pictures like a goober. Let me just tell you: It’s glorious. Click here for photo gallery of the Friday evening S. Alabama game. Click here for the photo gallery of the Saturday afternoon S. Alabama game. We talked for 20 minutes and reminisced about what the old Tigue had been. Compared to Russo Park, it was a treehouse on top of cement steps. This was not a big place. I remember when I working for the SID sitting in the press box with 15 of us crammed together elbow to elbow. Working the scoreboard in the summers it got warm. But that was nothing compared to when the food arrived. Then it was warm and smelled like onions — for three hours. The TV guys had to stand at the top of the steps to get their wide shots, and they still had to choose if they wanted the third-base side of the field or the first-base side. I do remember once Scott Brazda filmed me and my, then-2-year-old daughter, and it made the news that night! I still have it on a VHS somewhere. I don’t have a VHS player, but if that technology ever makes a comeback, I’ll be ready to watch the tape again. I graduated in 2007, so I remember TD Smith as the PA voice of the Cajuns. He would announce players like Dallas Morris and Phillip HAWWWWWKins, taking his cigar out of his mouth just long enough to get the syllables out. The radio guys were in another box, which was somehow even smaller. There was no bathroom upstairs, and you could see Jay Walker sprinting down the steps after the seventh inning to find some relief. All those issues are resolved. 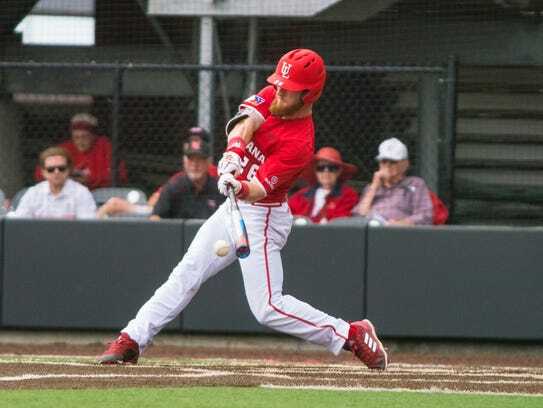 There are suites that rival any in college baseball, and for the first two games they stayed busy with folks eating, drinking and enjoying some Ragin’ Cajuns baseball. Heck, you take an elevator to get to the top floor. There's even a guy in there who presses the button for you! This is not your father’s Ragin’ Cajuns baseball experience. There are high-top tables along the first- and third-base lines, giving Cajuns’ fans access the the opposing team’s bullpen. Which reminds me of my favorite UL baseball story. When I was working on the beach in Destin, Florida, I met a guy who pitched for Southern Miss. for a year. I don’t recall his name, but told me how much he loved Lafayette and the people who took care of the opposing teams. But there was one thing that he’ll never forget. He was called on to start warming up in the bullpen. While in there, he was heckled relentlessly, which was normal. What was abnormal was the feeling he had once he reached the mound on the field. He tossed a few pitches and noticed something on his shoulder. He reached back and grabbed it, and once he pulled it in front of him he saw that it was a giant red crawfish claw. It’s taken me a while to get used to the turf field, but I’ve come to accept it. I do miss seeing coach Anthony Babineaux ride around raking the dirt behind his four-wheeler in the middle part of the game while Kenny Chesney’s “Big Green Tractor” blares in the background. And speaking of turf, is it still bad luck to step on the foul line? I mean now it’s just different-colored rubber. Mr. Vic’s peanuts are still available. They’ve managed to fit his antique peanut roaster into a small room on the third-base side of the stadium. I’m convinced that they built the room around the roaster. Walk through the breezeway and you’ll see tons of vendors with almost any beer you could want. There are cans of domestics, but also local craft beer on tap. Heck, for eight bucks you can even get it in a souvenir cup. Not a bad deal. The newness is there, but for now it looks like the intimate traditions that made the Tigue a desirable destination have survived the demolition. I’m mostly happy for the behind the scenes people who make the games go smoothly. Folks like Terry Thibodeaux and Guy Rials who’ve been working stats and the scoreboard for decades. It’s cool that now they get to sit in a first-class press box. It’s like all their dedication paid off. I never really reached the summit of my sports-writing career. I could have pursued other opportunities, but I wanted to stay in town. So I’ve toiled away as a freelance writer in the high school ranks, covering anytime a text from Kevin Foote pops up on my phone. I rarely wonder “what if” because I’ve had a pretty cool adventure of a life so far. But on nights like the past two, when I look out even now on the empty stands, it’s hard not to feel like you’ve made it. Makes me appreciate my university and the opportunity that The Daily Advertiser has given me.